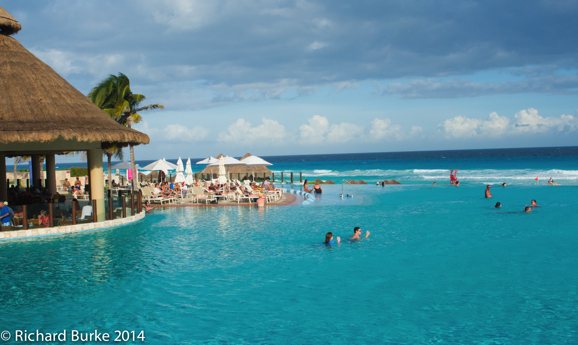 Major resorts have lots of great perks which is why people go there. Some are wonderful and some are just stupid. 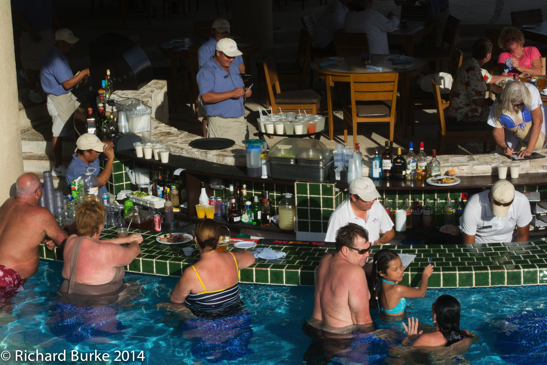 Last year we spent time at a truly wonderful resort in Cancun and were served up our first endless pool. It was great being in a pool without sharks,sand and waves and be able to feel like we were right on the beach. This is a perk I truly love. Tomorrow, a perk that is not so great. The North End of the Atlantic City Boardwalk was for years not the highest rent district. 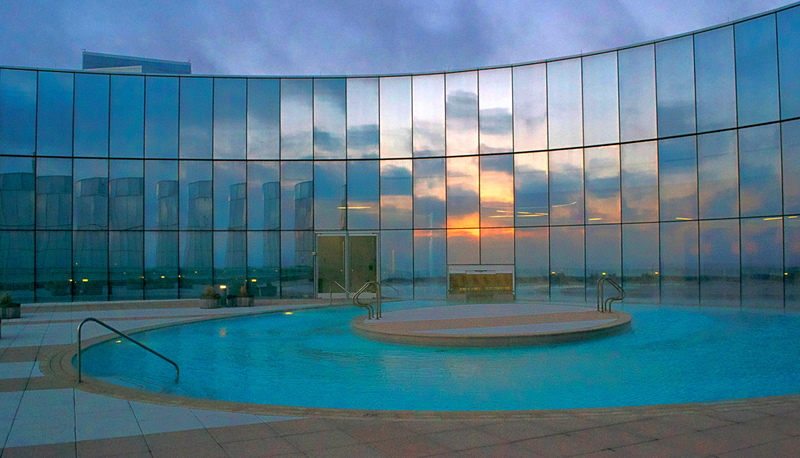 All that has changed with the Revel Resort. This glass architectural beauty has a giant globe on top that is programmable. It normally looks like a large golf ball but they can change the color. One of the security guards told me on Halloween it was a giant eye like the eye of Sauron. I don’t know if I believe him It also has a world class spa by Bask, fantastic restaurants and is a smoke free environment including outdoor areas except for a small area of the casino. Buy a print and see other images at my commercial gallery.